Review I’ve just been reigning supreme on Tekken Tag Tournament 2 playing Panda and knocking out the advanced bear fighting moves while I wait to play a Panadrian Monk in the mother of all MMOs World of Warcraft. I wasn’t planning on playing Guild Wars 2, as I was worried it might become a distraction in couple of weeks when I need to dedicate all my time on leveling. But since its release I started hearing whispers that this was the WoW killer and finally I was convinced to give it a whirl. Guild Wars 2 is so much more than a distraction and this review will surely just be an introduction to its complex, charismatic world. If you consider yourself in any way a gamer, this should be an essential purchase, but let’s start with why you should buy it. For starters, there's no pay-to-play. After playing Guild Wars 2 it will be very hard for me to justify a subscription to WoW or anything like it ever again. The game takes place 250 years after its predecessor, and the world of Tyria has taken on an epic scale. This is a beautiful world of brush strokes and a triumph of the imagination that demands attention and exploration. The best-looking game of 2012, Guild Wars 2’s cities and towns are full of stunning distractions. I’m in love with the expandable minimap and this is just one of the creative flourishes that decorate this game. 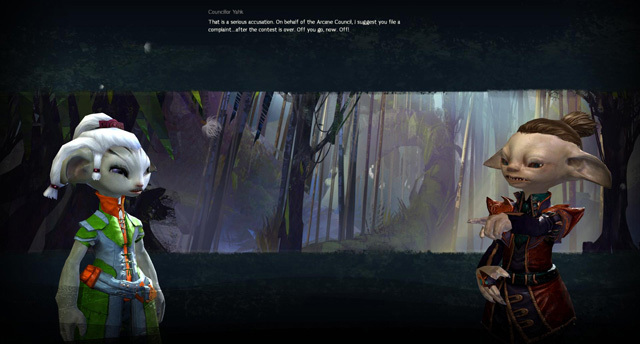 The playable races and creature design compare favorably in cartoony realism to WoW's Paladins, pandas and werewolves. The five playable species each have their own rich lore and suitable starter area. 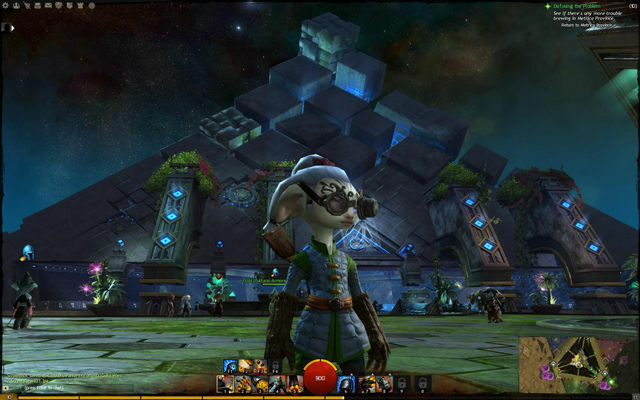 I chose to play an Asura because they seemed to be the cutey of choice for every girl gamer. There are eight professions to mold my skills and a wealth of customisation options. I chose engineering which allows me to spawn turrets and open weapons kits which were extremely valuable for the flame throwers and their short ranged AOE. But is it really all that useful? Hurrah! Now we can have a security panic about a violent game instead of a moral panic!